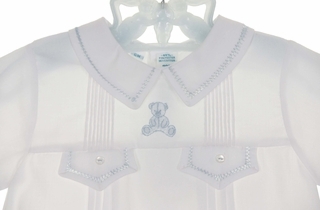 This darling little white cotton blend romper by Feltman Brothers features pintucks on the yoke centered with a blue embroidered teddy bear. The white Peter Pan collar and mock pocket flaps are finished with blue fagoting. 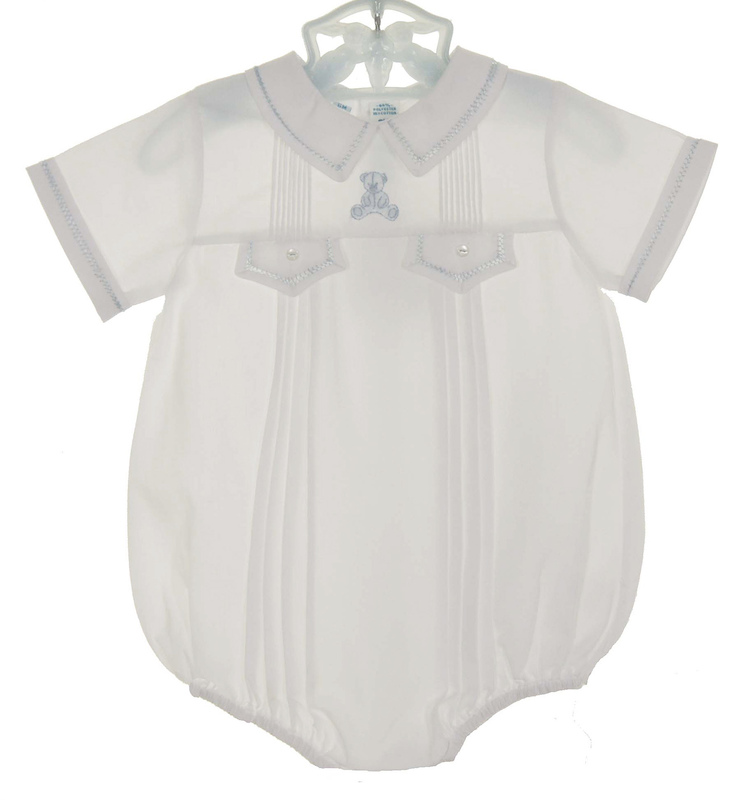 The romper has short cuffed sleeves with a back buttoned closure and snaps in the crotch for quick changes. 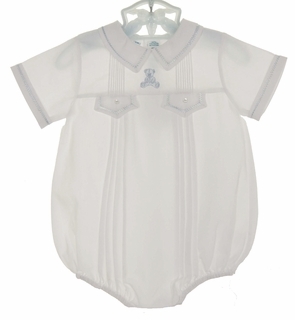 This classic little romper is the perfect outfit for any occasion and would be an ideal baby shower gift or portrait outfit. Note: This sweet romper is also available in blue. Matching button on shorts sets are also available. See below.